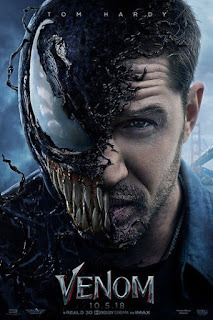 Read Ashley B's review of Venom. One of Marvel’s most enigmatic, complex and badass characters comes to the big screen, starring Academy Award® nominated actor Tom Hardy as the lethal protector Venom. Venom is in theaters on October 5th, 2018. Venom is the latest Marvel character to get a stand alone movie. Unlike many of the others, it is produced by Sony. Can this studio hold its own or will Venom not make the cut? When given a character that is inherently “bad” I think it is a difficult task to put them in a good light, i.e. Maleficent, Wicked, etc. Venom did an excellent job of guiding this change of heart by making it a funny movie. There were several moments of laugh out loud humor that was unexpected based on the trailer. Venom also brought plenty of action. Many of the fight scenes brought in tactics I’ve never seen before. It was like watching the literal definition of beast mode and had the audience in the theater I was in gasping and mesmerized. The only downfall I saw with Venom was the extremely predictable plot. Throughout the entire movie as soon as a scene began I would guess what was going to happen next and nine times out of ten I guess right. It did not take away from it being entertaining and somewhat turned into a game to me to see if what I thought would happen actually did. Overall Venom is not one of the best for Marvel movies but it is a step in the right direction for Sony. Hopefully they learn what works and what doesn’t from this one going forward. I definitely hope to see more of Venom in the near future. Also in true Marvel fashion make sure to stick around for two bonus end credit scenes. 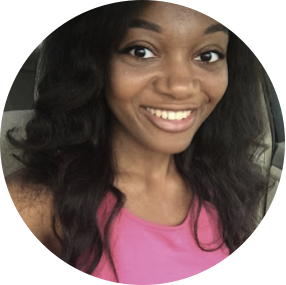 Ashley (Contributing Editor) is an Orlando native who loves watching movies. Her favorite genres include comedies, thrillers and sci-fi. Click Here to check out Ashley's Articles.